It has been a while since my last post. The last few week's have been rather full with one thing and another; a wedding yesterday, dance lessons for my daughter, being 'apprentice' gardener for my husband and preparing for the first residential of Dayspring's Grad Dip in Spiritual Direction which commences tomorrow. In amongst all this, the thing that has stilled me is revisiting many of Mary Oliver's poems. 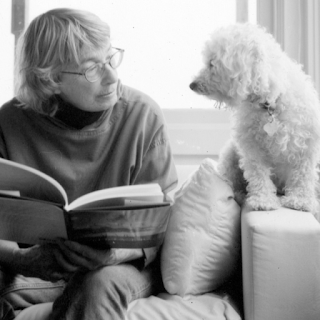 Mary Oliver died on the 17th of January at the age of 84. Her poetry has travelled with me over the last 10 years. She has a way of describing her connection with nature, her own journey and relationship with the divine that is so simple, yet has such depth. Her poetry is full of wonder and awe at the surrounding world, but does not shy away from acknowledging the pain and suffering that is also part of life. A few of my favourites are 'Sleeping in the Forest', 'The Journey' and 'Why I wake early', but considering that today is a breathing day, a day in between two full days, I want to share the poem 'Today' with you.